Filming a scene with a high quality very capable camera is every video maker's dream but often too expensive for the average person. One guy came up with a clever yet funny way of getting that slow motion effect from recording in 120 frames per second. 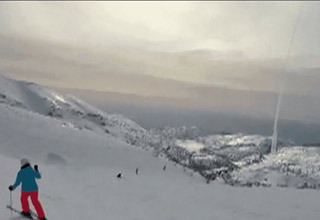 NEXT VIDEO Missile Interception Caught On Snowboarder's Camera.